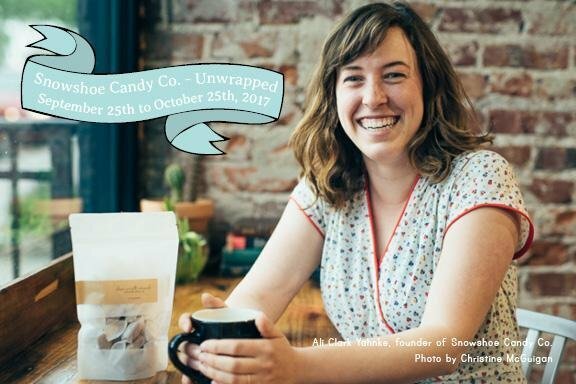 Ali Clark is the founder, candy-maker, and crafter of Snowshoe Candy, Co., an Omaha-based seasonal company specializing in handmade candies. The inspiration for Clark’s company came from her grandfather’s caramel recipe and her youth spent in Wisconsin, where snowshoeing and outdoor winter activities are a part of life. In May of 2017, Snowshoe Candy Co. took home the cash and technology services from the fourth annual Get Started Omaha pitch competition held by Cox Business and Inc. Magazine. We spoke with her to see where her business is now since the win. CB: How did the idea of Snowshoe Candy Co. come about? How has it changed or stayed the same? CLARK: Snowshoe Candy Co. started with a recipe for caramels that my grandpa taught me in 2009. I began making them every fall and winter as he had done when I was a kid. I would give them away to friends and family each year. For the past 6 years, I have been market farming – growing vegetables for sale at farmers markets and to restaurants. Back in 2013, as the last market approached, one of my fellow farmers suggested I bring some of my caramels to our market stand. I did and it was a huge success! I sold out of caramels before the end of the market and had people requesting orders for the holidays. A friend of mine asked if I might want to do some holiday markets with her, she making stationary and I, my caramels. It started from there and has grown ever since! When I first started, I was making tiny batches at home and using very labor intensive packaging – I cut all of my individual caramel wrappers by hand from rolls of wax paper and typed the labels on my grandma’s hand-me-down typewriter… The biggest (and most exciting) challenge has been to increase my productivity without losing the character of my original product. I have scaled up my production and streamlined my packaging, little by little over the years. I still use the same, simple recipe with the best ingredients I can find. And the packaging, while it has changed, has maintained an artisan handmade look throughout. CB: Since winning Get Started, has your business seen any significant changes? For example, have there been any location/earnings/employee/investment changes? CLARK: I am so honored to have won the Get Started Pitch Competition. Not only has it connected me with an array of business professionals who are helping me grow my business, but it has allowed me to invest in larger scale equipment to scale up my production. While I haven’t yet purchased the equipment, I am exploring different options for candy cookers that will allow my batch size to increase 10-fold. I am also looking forward to working with the Cox team to create some promotional videos for my brand! CB: What makes Seasonal Candy an appealing industry in today’s society? CLARK: I started as a seasonal business because it fit with my seasonal farming year. As I have grown my business, there have been challenges with being a seasonal business. However, there are also many advantages, as producing candy year-round has its own set of challenges. For instance, humidity and heat create problems with production and distribution in the summer months. Additionally, the major candy holidays in the US fall between October and March, with Halloween, Christmas, Valentine’s Day and Easter. Another unexpected perk of operating seasonally is the sense of scarcity that is created – this is especially realized at the beginning and end of the “candy season”. I have found that customers are really excited when the season starts and interested in stocking up as the season winds down. CB: What are some obstacles that your company has faced as a new startup and how have you worked to overcome them? CLARK: One of the biggest challenges has been that there are limited resources for this specific market. Many candy manufacturers operate at a much larger scale and use tools that aren’t suitable for the small/medium scale candy maker. Additionally, the equipment that is designed for small-scale manufacturing is very expensive, which makes it a challenging investment when you are self-funded. 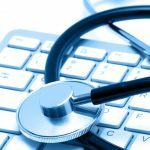 CB: What’s the next step for your company moving forward? CLARK: Our long-term goal is to have a permanent farm location (we currently rent) with an on-farm store and manufacturing facility. The store would feature seasonal products, with produce in the summer months and candies in the winter months and a year-round supply of locally made products. In the meantime, we are working to scale up our production by investing in larger scale equipment. This will allow us to access larger markets and sales. CB: If you had one piece of advice to give someone just starting out, what would it be? CLARK: It’s okay to start small and ask for help! I wouldn’t be here talking about this today if I hadn’t taken a chance bringing caramels to the market. Snowshoe Candy Co. has grown exponentially each year, and with the help of MANY individuals – friends, family, customers and business colleagues. I have been open with my business goals and have asked for help along the way. It’s amazing how much people want to help others succeed – together we can truly accomplish a lot!